Product #20788 | SKU DMM0007 | 0.0 (no ratings yet) Thanks for your rating! Use with Miniature Microphones on numerous instruments. 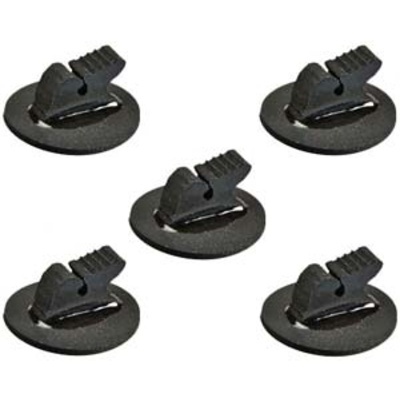 The DPA Universal Lavalier Surface Mounts (5 Pieces) DMM0007 are soft, rubber holders for use with Miniature Microphones on numerous instruments. These units use a non-marring adhesive that allow them to be placed on virtually anywhere without the danger of damaging the instrument. Moreover, this adhesive retains its strength so it may be used repeatedly before needing replacement. This unit includes (5) pieces with (20) adhesive discs. Use these convenient surface mounts to perfectly position your microphone every time.